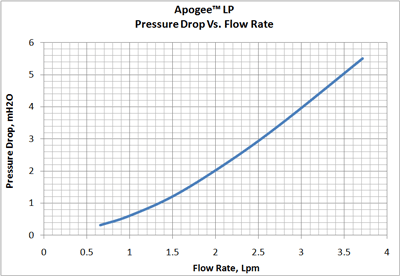 The Apogee™ LP ("LP" stands for Low Profile) CPU water-block is a high-performance, flow agnostic waterblock using the same micro-pin technology as the award-winning Apogee™ XT. The horizontal orientation of the inlet and outlet ports facilitates installation of the block in space constrained environments such as 1U racks or Small Form Factor Computers. Intel® desktop and server processors using socket LGA775, 1156 & 1366 - The Intel® -universal hold-down plate is installed by default. 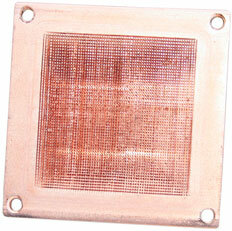 Motherboard back plates for desktop boards class boards in 1156 and 1366 socket are included. 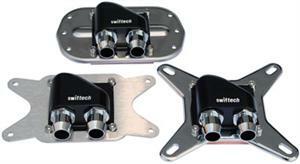 Socket 775 back-plate is sent free of charge upon request. In server class boards, the waterblock bolts directly onto the existing motherboard back-plate. Optional Part # Apogee-GTZ-AM2-HD, provides compatibility with AMD® Socket AM2, and AM3 and is fully compliant with the component keep-out specification. AMD® desktop and server processors using socket AM2 and AM3 - Installation of the hold-plate is required. 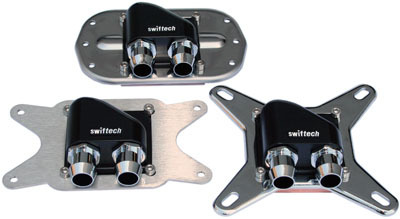 The waterblock ships with a set of 3/8" barb fittings. The inlet and outlet port threads comply with the G1/4 specification. 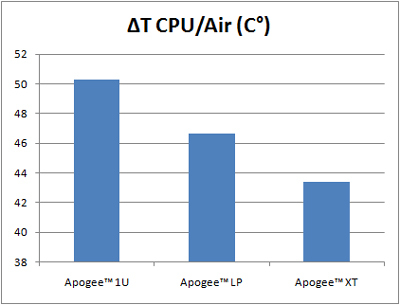 The CNC machined C110 copper base plate is at the heart of the Apogee™ LP cooling efficiency. An array of micro-pins measuring 0.25 x 0.25mm (.01 x .01") reduces thermal resistance, and provides exceptional performance at low to moderate flow rates.